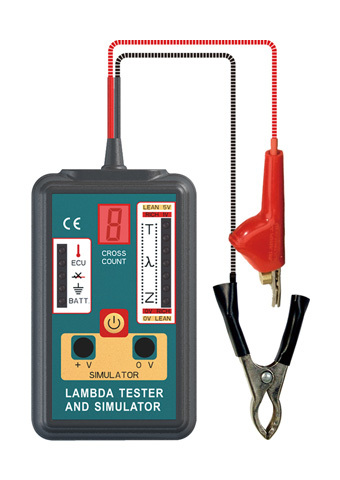 The Lambda Tester is designed to measure the crossover changes which occur in the closed loop control system. The tester can be used to analyse Zirconia or Titania type sensor. The tester can simulate the sensor signals to the ECU to verify acceptance of the signals and con? ?rm that the ECU acts upon these signals. ·Tests 1, 2, 3 and 4 wire sensors.